Eagle-eyed Star Wars fans might recall back in the summer of 2014 that Harrison Ford met a bit of an unexpected disaster while filming on set for Star Wars: Episode VII, when his leg was crushed by a hydraulic door. Left with serious injuries, he ended up being carried away helicopter. Now the HSE have decided that the production company involved was responsible for the accident – and will be facing prosecution. It’s a pretty important reminder that making sure you have a secure workplace is important and relevant to all businesses – no matter what industry you work in! So what should you be thinking about to keep your workplaces safe? 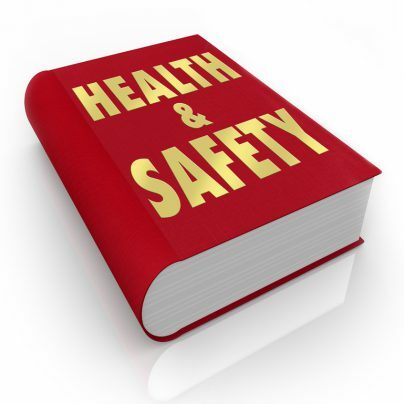 The Health and Safety at Work Act – aka HASAWA – is quite an important bit of law you need to familiarise yourself with. Have a read of it with a cuppa in hand over here. In short, the HASAWA is the main piece of legislation that covers all things related to health and safety – you guessed it – in the workplace. And it’s really useful for you to go through regularly – so that you can stay on top of the latest rules and legislations that are relevant to your industry. The HSWA isn’t just there to look pretty though. Employers have responsibilities which need to be met, in order to keep their employees safe. A really important point to note: employers should not be charging people for any measures that have to be taken to make sure a workplace is safe! As with any piece of legislation, the HASAWA is enforced on all businesses in the country – in this case, by your local enforcement officer. This officer holds specific powers – so it’d be in your interest to make sure you pay attention to what they say! Have any questions about how to make your workplace safer? Give us a shout and we’ll help you out!